Owning a car is expensive. Between car maintenance, insurance costs, gas, and countless parking tickets (Just us? Oh, okay), it all adds up – quickly. But you know what also adds up quickly? Savings. Here at Metromile, we’re all about saving money on your most expensive, money-wasting bills *ahem traditional car insurance ahem*. Every day we strive to bring you savings on your car insurance, and today we’re giving you our best tips on saving money at the pump. Spoiler alert: we’re also letting you in on the best ways to utilize your Metromile app to save on gas. Ready? Buckle up and let’s get truckin’ onto the good stuff. 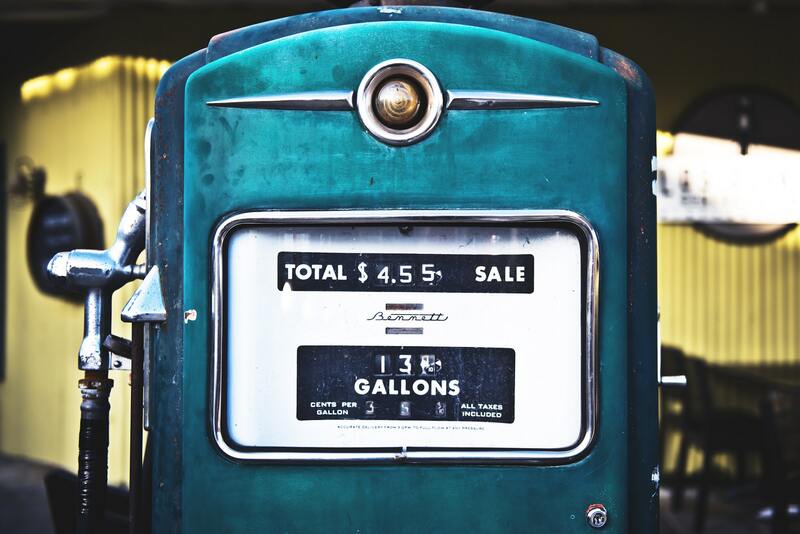 Back in 1970, gas was only $0.36 per gallon in the United States. If you were around back then, you may remember the most famous and shocking impact on the oil economy: the energy crisis of the 1970s. Prices of gas shot up from $3 to $12 per barrel, and OAPEC (the Organization of Arab Petroleum-Exporting Countries) shattered policy-makers’ assumptions about their reliance on American trade. The average American driver went from paying $0.36 per gallon at the pump in 1970 (which is equivalent to about $1.72 per gallon in today’s dollars) to $1.19 per gallon in 1980 (which is equivalent to about $2.95 per gallon). However, the worst gas prices in U.S. history came less than a decade ago – topping out at an average of $3.64 per gallon in 2012 (equivalent to $3.80 per gallon today). Lastly, we cannot forget the very rapid gas price increase preceding the 2009 recession. Even America’s most erratic price jumps from past decades pale in comparison to the crazy jumps from 2002 to 2008, when gas prices climbed steadily until the recession. While Lehman Brothers and the housing market crash were much to blame for the collapse, the spike in gas prices didn’t help. Drive less. If you’re a Metromile customer, chances are that you’re already a low-mileage driver. If you haven’t joined yet, consider reducing your miles driven for one month by taking public transportation, using ride-sharing apps, or carpooling. You’ll be surprised at how much you can save on gas by simply filling up less often! Turn off the engine. If you’re picking someone up, turn off the engine while you wait for them. The same thing goes if you’re stuck in traffic and haven’t moved in a few minutes, or you’re waiting at a drive-thru. You’d be surprised at how far you can stretch a tank of gas just by being cognizant of how long you’re idling the engine. Idling is both a major waste of gasoline and a top contributor to pollution in the atmosphere. By turning your engine off, it’s a win-win for both your wallet and the environment! Use the Metromile app to track your routes. If there’s a particular route you drive daily or weekly, check out your past trips in the Metromile app to see if there’s a faster or more efficient route to take. Even if it’s only by a little bit, every mile counts – and a mile saved is a mile earned! Figure out the best way to pay. Many gas stations advertise a cheaper price per gallon if you pay with cash. This is because it costs the station less to process a cash transaction and they want to encourage more people to pay with cash instead of cards. Depending how much gas you’re getting, you may end up saving a few dollars per fill-up if you pay with ca$h money! Don’t drive aggressively. Aggressive driving (rapid acceleration, high cruising speed and braking sharply rather than coasting) is by far the biggest culprit in gas-guzzling. Using a sedan, an SUV, and a truck, a test showed that motorists who adopted a “calm,” non-aggressive driving style could save 33% to 38% on gas. That’s a huge cost savings! Use your smartphone. Using apps like GasBuddy and Gas Guru, you are able to find the cheapest gas in your area. You can also use the Maps app on your smartphone to check the traffic before you leave the house to avoid wasting gas while idling in traffic. Also, you can use the Metromile app to track and optimize your trips! Hopefully, our tips will help save you some coin next time you’re filling up at the pump! To all our customers: if you haven’t downloaded the Metromile app, you’re missing out on some seriously awesome gas-saving opportunities! If you’re a low-mileage driver who hasn’t made the switch yet – what are you waiting for? Grab a quote from us anytime, because it’s always free. Be safe out there and see you on the roads.